A member of a U.N.-sponsored anti-corruption fee has been allowed into Guatemala by a court docket order after he was held for nearly a day on the capital’s airport. Guatemala’s Constitutional Court docket ordered the federal government to confess Colombian Yilen Osorio, who was detained upon arrival on the airport Saturday. 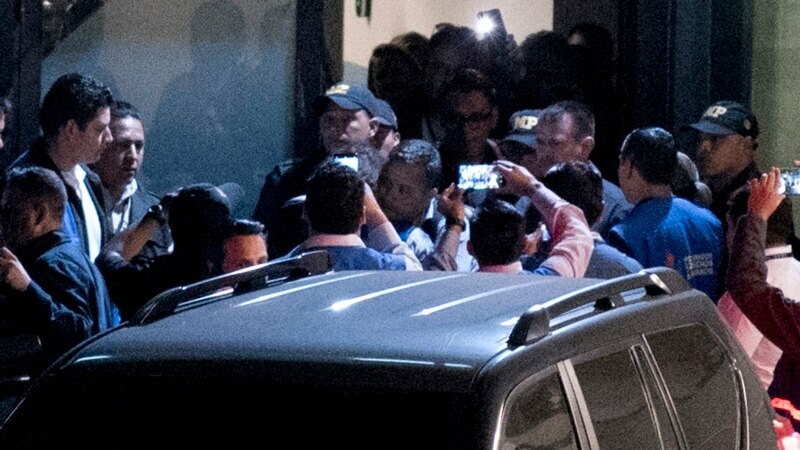 U.N. spokesman Stephane Dujarric stated Monday the group was completely satisfied at Osorio’s return to Guatemala and expects its authorities to let fee staffers journey freely. Guatemalan Overseas Minister Sandra Jovel was on account of meet later Monday with U.N. Secretary-Normal Antonio Guterres. Guatemalan President Jimmy Morales has sought to finish the fee often called CICIG, which has investigated Morales’ son and his brother. They deny accusations of corruption. Morales refused to resume CICIG’s mandate final yr and barred its chief from returning to Guatemala from a enterprise journey.